joining forces to make a difference to the material world around us. ‘Chi’ is the vital force or energy present in all living things – and it is also the acronym of our founders’ initials. We formed CHI Design Studio, as women working in design and building, around the idea of coming together, to make a difference to the material world around us. We joined forces in 2011 in order to collaborate and share expertise, relationships, contacts, know-how, and community links. Working together makes us better at what we do. Between us, we have more than 30 years’ experience in the built environment in Victoria. 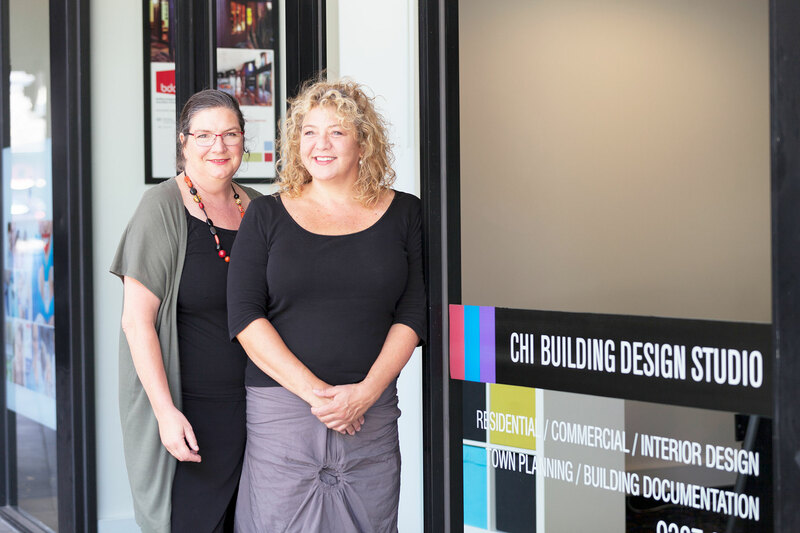 Christina, Helen and Ingrid are all members of the BDAV (Building Designers Association of Victoria), and of the Victorian Women’s Trust (Christina even ran for a seat in the Victorian Election in 2014). We actively participate in our professional community through BDAV study tours, Ask an Expert events, and committee memberships. Today we own a beautiful north-facing studio in Melbourne’s Brunswick, surrounded by creative offices and close to clients and transport, where we enjoy working in the company of like-minded people.